Join a LIVE discussion this Sunday, April 14th at 11:00 am. Join Monika and Ramakrishna this Sunday for a special satsang to learn more about the Assisi journey: the knowledge of Jesus and the Divine Feminine, the special processes we will do and the incredible places we will visit. Journey with us to Assisi, to follow in the footsteps of the Christian mystics, St. Francis and St. Clare, and explore their lives through the lens of Jesus and the Divine Feminine. As we immerse ourselves in the spiritual vibrations of Assisi and the sacred places connected with St. Francis and St. Clare, we will learn the story of Jesus, Mother Mary, Mary Magdalene, and the Goddess Mahakali, as written in ancient palm manuscripts from India. We will look at the lives of St. Francis and St. Clare in the same light - as Shiva and Shakti - the sacred masculine and the sacred feminine. Monika and Ramakrishna will share teachings about Jesus and the Divine Feminine from ancient palm leaf manuscripts from India. These teachings have long been kept secret and were revealed by Sri Kaleshwar (1973-2012), a spiritual master from southern India. Monika and Ramakrishna studied this knowledge directly with Sri Kaleshwar for 15 years and are now sharing these sacred teachings during the Assisi power journeys. Learning this knowledge from these two great teachers in such a private setting is a great boon to anyone on the journey and a very rare opportunity. Monika and Ramakrishna will share the stories revealed in these manuscripts: the practices Mary did over many lifetimes to bring Jesus’ soul to the world, Jesus’ life in India, his worship of the Goddess, practices he did to awaken miracle powers, his marriage to Mary Magdalene. We will explore the Goddess (Divine Mother) energy in the saints’ lives and our lives; Mother Mary as the embodiment of the Divine Mother in modern times; the Holy Womb Chakra -- the practices Mary did, how to connect and experience divine souls to help us on our spiritual journey; the need for sacred partnership and soul mates on the path to enlightenment. There will be daily meditations, teachings, fire ceremonies and initiation (spiritual transmission) as part of the Assisi retreat. Meditate in the quiet sanctuary of San Damiano where the crucifix spoke directly to St. Francis, telling him his dharma. Visit the church where St. Francis was granted the "Pardon of Assisi" and received darshan of Mother Mary and a company of angels. Meditate in the caves and ancient forests on the slope of Monte Subasio where St. Francis and his followers established their first home. Walk in an ancient forest of oak trees with roots 30 ft high! The forests of Monteluco have been considered sacred and protected since 750 BC. Follow a moving procession of the stigmata on Mount La Verna where St. Francis received the wounds of Jesus. Enjoy the energy transmission of a sacred full moon fire puja. Receive Shaktipat (energy transmission) from Monika and Ramakrishna for the success of your process. Journey with like-minded pilgrims under the guidance of two spiritual masters to learn never-before taught information on Jesus and the Divine Mother. In order to secure your spot, please send in a deposit and complete the registration information below. If you have any questions or would like more information before confirming, please email kayla@paramashiva.org and she will be in touch. All insurance, including personal liability, medical and/or baggage insurance, etc. In order to hold your spot, please fill out the registration form below and pay the $950 deposit. Option 1: send a check payable to “Paramashiva” to PO Box 68, Blanco, TX 78606. Please click below to fill out the registration form and read the Welcome Packet to get you started on planning your journey to Assisi! Monika studied the knowledge from the ancient palm leaf manuscripts about Jesus and Mary directly with Sri Kaleshwar in India for 15 years. She co-led processes where stu­dents received Mother Divine’s dar­shan and taught at Soul Uni­ver­sity in Penukonda, India. Currently she is a director of the Divine Lin­eage Heal­ing Cen­ter in Lay­tonville, Cal­i­for­nia, where she resides and teaches. 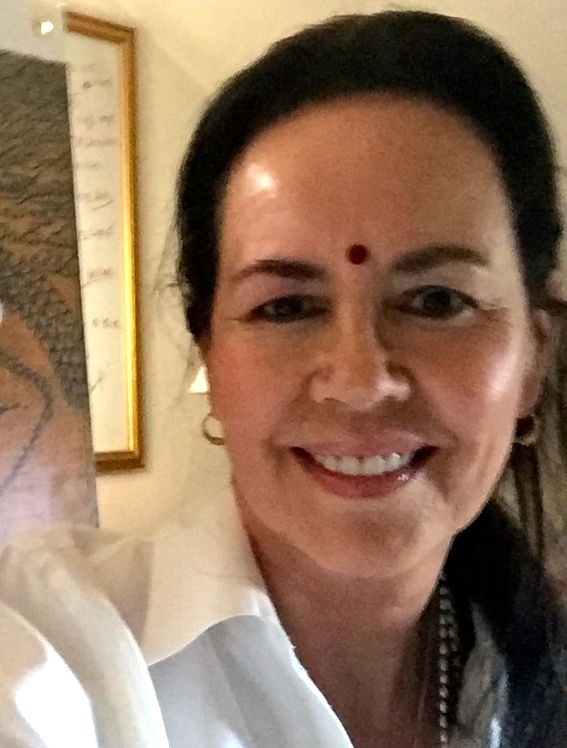 Monika is the author of Kalesh­war and a mod­ern ren­der­ing of the Sri Sai Satchar­i­tra, The Won­der­ful Life and Teach­ings of Shirdi Sai Baba; edi­tor of Sri Kaleshwar’s books, includ­ing The Real Life and Teach­ings of Jesus Christ; Shirdi Sai Baba, The Uni­ver­sal Mas­ter and The Divine Mystery Fort. Ramakrishna lived and study with supernatural Indian saint, Swami Kaleshwar, for 15 years. Sri Kaleshwar’s life mission was to release the top ancient knowledge that has been alive for thousands of years but kept hidden, being passed to only one or perhaps two students through a continuous lineage. A lot of this knowledge were the techniques and processes practiced by Jesus and Mary. Sri Kaleshwar said we are now entering the darkest part of the darkest age of humanity and that this needed knowledge belongs to humanity as a whole, not a select few. Through sharing what he has learned Ramakrishna's ambition is the same as Sri Kaleshwar's: To spread this knowledge to help the world and to create spiritual masters, not students. Kayla is the coordinator for this journey and your point-person for all questions to help you get ready for this incredible experience! Kayla went on her first power journey ten years ago and a seed was planted to one day offer these same life-changing experiences to others. She hoped to one day offer programs where people got to experience some of the most powerful places on the planet with spiritual masters. Her dream became a reality and now she runs all of the Paramashiva power journeys! She’s happy to answer any questions you might have and you can always reach her at kayla@paramashiva.org. “If you have been inspired by St. Frances and want to dig deeper into his spiritual journey this trip is definitely for you!